When I dream of being somewhere, this is the place I long to be. Warm, lapping waves, endless blue sky, and nothing on the horizon. 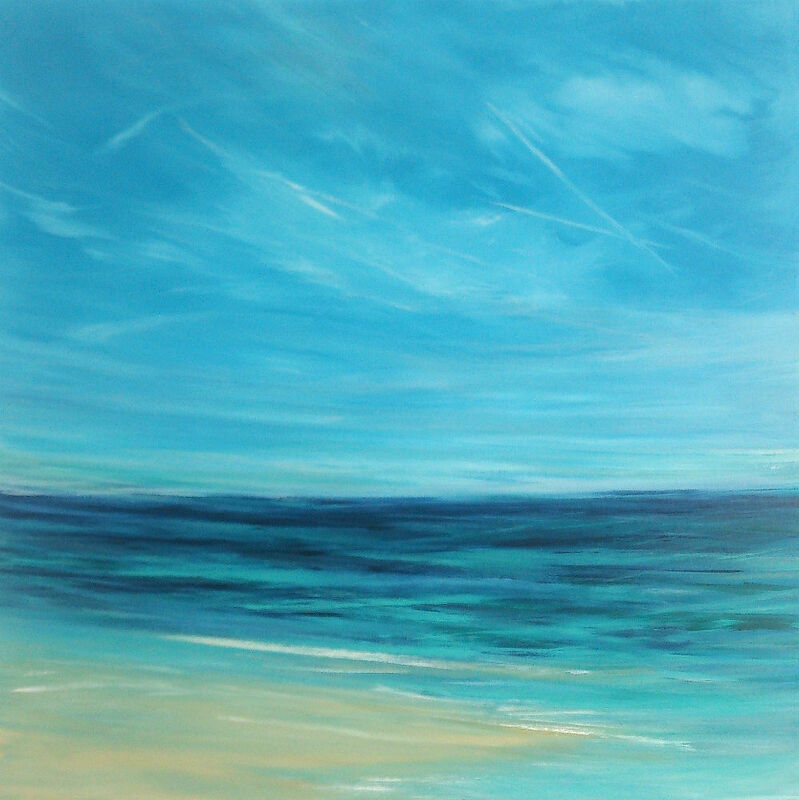 Just me, the sea and the sky… This was the inspiration for this piece. This painting is ready to hang, simply unpackage and place it in prime position. With white sides and varnish it is ready to go with no need for a frame, and it will be protected from almost any eventuality. There is a signature on the back with the Title, and date. All my works are accompanied with a Certificate of Authenticity.